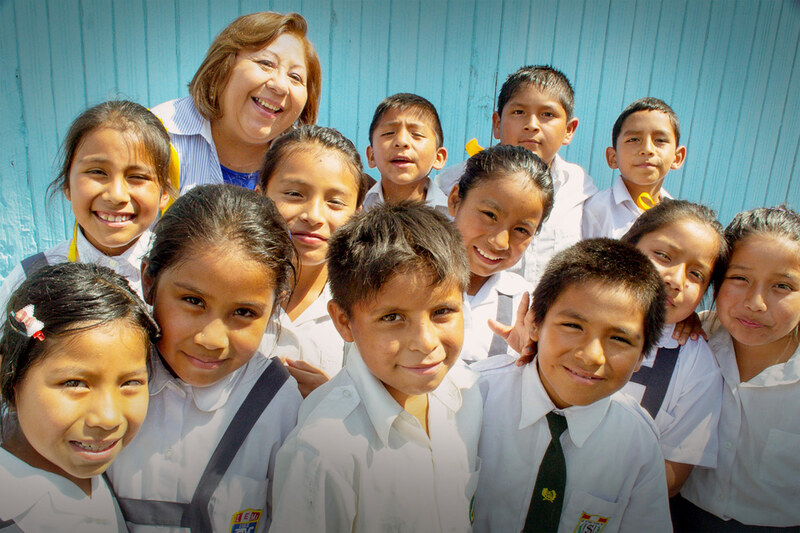 Compassion started working in Peru in 1985. Today, there are over 79,000 children registered in our programs through 243 church partners. Dear Sponsor, Receive our warm greetings from the Inka’s land culture, the Amazon River and the beautiful coast of the Pacific Ocean. 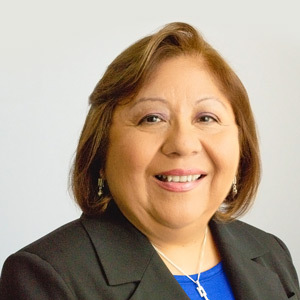 My name is Cristina Zavala and I have been the Country Director of Compassion Peru since 2005. I live close to the beach and I love the sunset, with those beautiful colours in the sky, and the sun hiding in the sea like a little child hiding to play. I thank God for His wonderful creation and His call to serve many children in poverty that also play “hide and seek” and have an opportunity to get hope in life. Receive our warm greetings from the Inka’s land culture, the Amazon River and the beautiful coast of the Pacific Ocean. 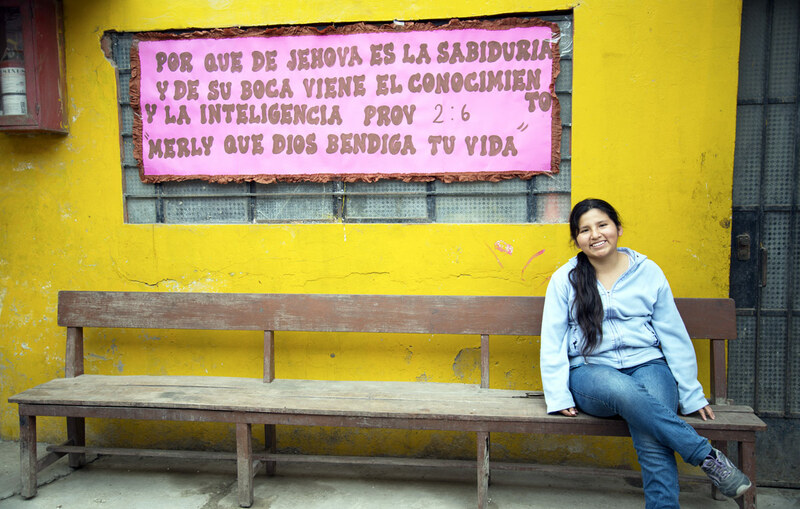 My name is Cristina Zavala and I have been the Country Director of Compassion Peru since 2005. I live close to the beach and I love the sunset, with those beautiful colours in the sky, and the sun hiding in the sea like a little child hiding to play. I thank God for His wonderful creation and His call to serve many children in poverty that also play “hide and seek” and have an opportunity to get hope in life. Compassion began ministering in Peru in 1984. My country has a very rich history, beautiful places, and warm people, but also extreme poverty, broken families, and vulnerable children. Together we can offer the most valuable gift of hope to change the lives of the voiceless and suffering ones. This hope illuminates the lives of around 80,000 children thanks to 242 church partners working in the north coast, highlands and north/central jungle. The difference between a child who enjoys sponsorship in our program and one who is not registered is mainly the impact of being loved and cared for by people who value and provide them with dignity in a safe environment. Due to their living conditions and lack of economic resources, children face hard situations of mistreatment and negligence that erode their self-esteem and sense of belonging. With the tools provided by the sponsorship program, the church builds up their self-esteem and high sense of value as a unique person. The care provided by the church makes the difference in the child’s being who he is and how he sees himself. The economic situation works against families and parents, pulling them away from their children when the situation is pressing. They leave their children alone, with little protection and supervision. 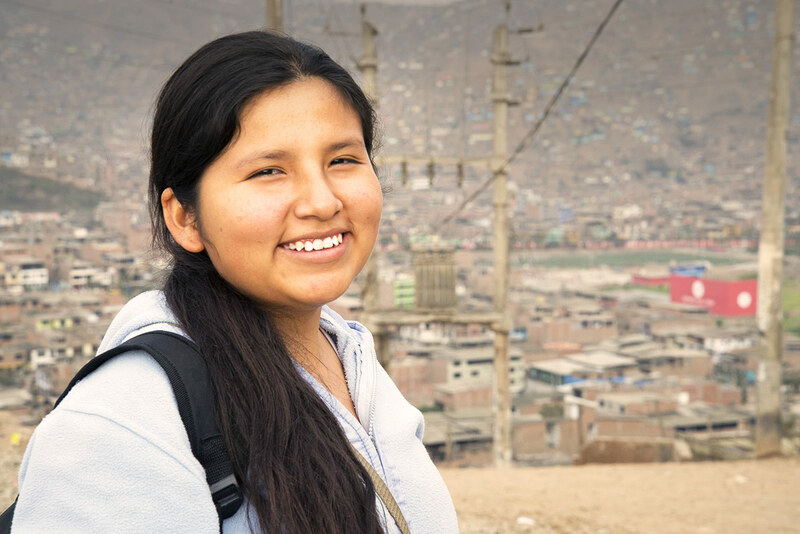 Access to education, medicines, and potable water is still limited in the poorest regions of Peru. Youths don’t have any opportunity to get skills to be inserted in the labour market. Some villages don’t have medical centres or they close early because of the lack of staff. Other areas get water directly from the river or contaminated water channels, and young people don’t have dreams of progress and developing. For this reason, this year’s vision for my country is to change the situation. We are working in four strategic lines: cognitive, physical, socio-emotional, and spiritual development. We help children improve their reading, writing, and math level learning, to learn and develop healthy habits; we keep on being successful with little ones who just arrive at the program suffering malnourishment. We are working with complementary funds to offer filtered and safety water. Together with the church partners, we talk to government institutions to improve the medical care centres and to keep on teaching Christian values and principles. We are also coordinating scholarships with private technical schools and using complementary funds to help them to study a technical career such as computing, accounting, etc., or be able to study a major in college. We also teach leadership courses to outstanding students. We want to open a window of opportunities to more children this year, and we will keep on reaching out to poverty areas, growing to serve more than 80,000 children. The desire of my heart is to make our children and young people smile, to be developed and transformed, to be agents to impact their own communities. Such is the case of a young man who is about to complete the program this year. During his time in the sponsorship program, he faced several troubles: his father is an alcoholic and his mother did not want to hear a word about God. But this young man found a place of affection, care, and shelter at the church. He had the chance to learn work skills; now he is going to a college to study bakery and pastry and is also a leader of his church. He has become an agent of change for his family; from being immersed in poverty he has discovered his great potential and now has big dreams, like working with the best chef of Peru that is well-known globally, as well as to be an entrepreneur and travel abroad to improve his skills in high cuisine. Or like other sponsored young children that also lived in a poverty environment and thanks to Compassion studied in colleges and got prizes. One of them received a “Social Volunteer Entrepreneur” given by the United Nations, as he organised teachers to give school lessons reinforcement in poor locations of Lima. Not only our church partners are main actors in children’s life, but also you sponsors, always being a wonderful support that helps us to accomplish the goal to help our children. Children who enjoy a relationship with their sponsors are able to feel the love and care of people who value them and give them the dignity of a safe environment, and to desire a different future. Having a sponsor makes the children very happy. They think sponsors are like relatives who live very far away but send letters that bring them closer. Sponsors’ letters have a high emotional value for children; when they get a letter, they feel they have some physical token from their sponsors. A correspondence relationship between child and sponsor also provides a sense of dignity. We are thankful to our God because we can witness how church partners are also ministering to their own communities by implementing work opportunities for families, with contextualised programs for education and development that radically change inappropriate ways of living. Join us in prayer for every church partner in my country which is exceeding expectations, working hard and doing such an amazing job. I would like to express my gratitude to sponsors, donors and support churches that make it possible to release our children from poverty in Jesus’ name. Meryl Karina Ferrer Carhuas was born in a hardworking family in one of the poorest parts of Lima. Her parents never went to college; they barely finished high school and started to work to support their families. However, Meryl was a brilliant student at school and applying to college was a goal she wanted to pursue. In 2014, she was in her last year at high school and things were going great in her studies. She had a scholarship—but something happened in her family that almost destroyed her dreams. Meryl Karina Ferrer Carhuas was born in a hardworking family in one of the poorest parts of Lima. Her parents never went to college; they barely finished high school and started to work to support their families. However, Meryl was a brilliant student at school and applying to college was a goal she wanted to pursue. In 2014, she was in her last year at high school and things were going great in her studies. She had a scholarship—but something happened in her family that almost destroyed her dreams. “One day I was at home studying, when my dad came into my room and told me that he [had] throat cancer. I immediately ran crying to my Compassion project and told my tutor Paulina to pray for my dad. She told me not to give up, that God was with me and with my family and that my dad was going to be healed,” says Meryl. With those words, she continued studying hard. Her father received chemotherapy, and one year later he was completely healed. Indeed, Meryl says her sponsors played a pivotal role as she applied to the university. As well as pursuing her own studies, Meryl teaches maths at the child development centre. She’s committed to encouraging the children in the face of hardship, just as she was encouraged when she was younger. “It’s a great privilege for me to teach my little friends and help them solve their math problems, but I also encourage them not to give up,” she says. Please pray for children, families and communities who are doing all they can to salvage their livelihoods and rebuild their homes after widespread floods across the northern parts of the country. Pray for peace, strength, and for aid and support to get through to the worst-affected areas. Pray for the Government of Peru and the nation’s leaders as they make decisions about where to deliver aid and how best to help families who have lost homes, belongings, and even their loved ones. Pray for wisdom and compassion. There have been outbreaks of dengue fever lately, especially in Piura and Chiclayo (in the nation’s northwest). Please pray for the children and families who have been affected, that they will receive good medical support and be able to recover. Pray for Compassion’s efforts to distribute mosquito nets that will help to protect the children against this disease, and for the local churches’ education campaigns to show families how to mitigate the risk of infection. Pray for Briana and Samirah, two registered girls from Huanuco. Briana is receiving treatment for bone marrow cancer, and Samirah was recently diagnosed with lymphoblastic leukaemia. Pray for God’s healing to be upon them. Pray also for their families as they support their daughters and rely on God for His comfort.